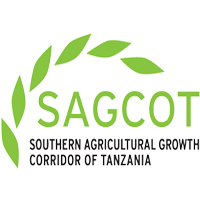 Home / JOB VACANCY / EMPLOYMENT OPPORTUNITIES AT SAGCOT: POLICY SPECIALIST IS WANTED. EMPLOYMENT OPPORTUNITIES AT SAGCOT: POLICY SPECIALIST IS WANTED. Qualified and interested candidates are welcome to apply before the deadline of 30th March 2018. Complete job descriptions of these positions can be viewed in the SAGCOT Centre Ltd. website http://www.sagcot.com/vacancies/ where key responsibilities are detailed. Qualified and interested candidates should attach a cover letter clearly stating Policy Specialist and a copy of the Curriculum Vitae.